Nourishing ingredients such as castor oil, grape seed oil, and acai butter blend to create this ruby red raspberry lip-gloss. 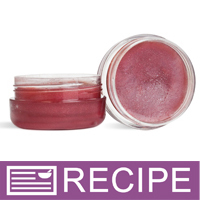 Protect your lips with the raspberry lip gloss made from this project. 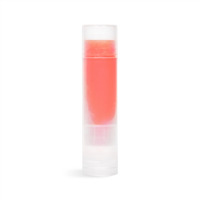 The lip gloss contains acai butter, castor oil, and grape seed oil for their moisturizing attributes and raspberry flavor oil for the scent and flavor. Finish this project by packaging in clear jars with sleek white tops. The ruby red color looks great in this lip gloss packaging! 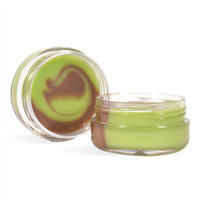 Aloe Butter, Castor Oil, Grape Seed Oil, Polyglycerol-3 Beeswax, Fluorphlogopite, Iron Oxide, Flavor, Vitamin E.
"pretty but does not last on lips"
COMMENTS: really fun to make with my 6 year old, she loved the color. 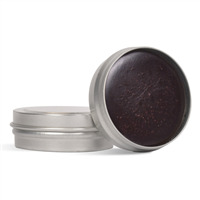 we added over a teaspoon of the beautiful shimmery reddish brown mica powder, and my daughter was super excited about the rich, sparkling color. The kit made just enough for the number of pots included. Unfortunately, I wasn't able to see much color and within half an hour, it looked and felt like I had nothing on my lips. On the bright side, it's perfect for a 6 year old who shouldn't be wearing that much color anyway! "Nice to have and experiment"
COMMENTS: I loved this kit. The color is nice and the instructions are great. "Easy to use with great end result"
COMMENTS: This kit was put together very well. Everything I needed was there and made this process quick and easy. The lip gloss turned out very well. I loved the raspberry fragrance, the beautiful red, glittery appearance, and nice consistency. I did pour accordingly and got 12 pots from the kit. "Ruby Red Raspberry Lip Gloss Kit "
COMMENTS: I absolutely love this kit. Was so easy to make, and such a wonderful product. "I love this kit! But how do I remove the black flecks in the acai butter?" Staff Answer The black flecks are a part of the acai fruit so you would not want to try and remove them. "my question is.. what ingredient do i use to make my lip gloss glossy on the lips?" 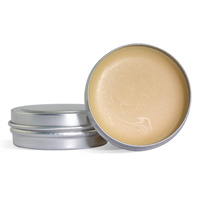 Caster oil gives it a smoother texture you could also use petroleum jelly. Keep in mind in order to make it more glossy you might have to change the packaging because it might be a little softer.